Wil 3 is a father, an educator and a retired college assistant basketball coach. Wil graduated from Washington and Jefferson college with a double major in Political Science and Secondary Education. Wil has worked as a teacher and curriculum developer in several school districts and post-secondary institutions. Wil is an advocate to end homelessness and currently sits as a Board Member at “Hearts of the Homeless,” a 501(c)3 non-profit and regularly volunteers at Light of Life Mission in the North Side of Pittsburgh, Pa. 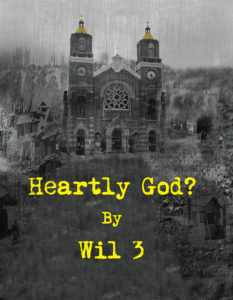 Prior to releasing “Heartly God?”, Wil authored several one-act plays that have been performed by various theater groups in Western Pennsylvania. Heartly God? 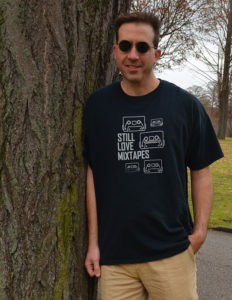 is his first full-length novel. When not writing, Wil can be found trout fishing or on a stand-up paddle board with his son Rider and occasionally practicing law, if time permits. Click on book image for press info, reviews, photos from Wil 3 and Heartly God?